Architectural Record featured an article on 56 Leonard Street, also known informally as the "Jenga Building". 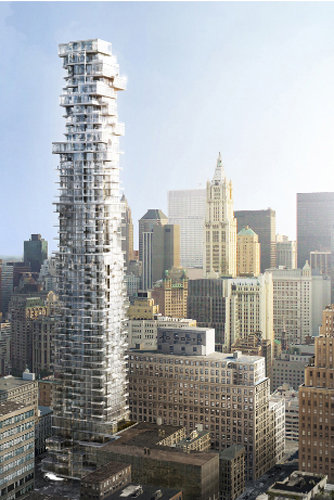 After years of delays due to the 2008 financial crisis the Herzog & de Meuron designed residential tower where KMDG provided landscape design for the exterior spaces has opened. See the full article here.